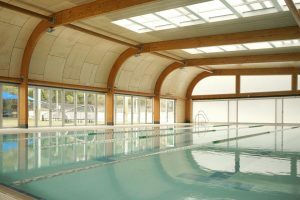 Indoor aquatic facilities can often be a complicated asset for public authorities to provide. They can be costly to be build, operate and maintain but are extremely valuable to communities on various levels. The obvious advantage of an indoor pool over an outdoor pool is the year-round use and variety of functions. You might expect this comes at an additional cost! This doesn’t have to be the case, although the initial capital investment may be higher if the functionality is optimised and the correct elements are determined it can be sustainably operated. From our experience working in the space of aquatic planning, we can safely say that there is no single solution for all communities to deliver the best-fit facility. No two communities are the same and a tailored approach to planning for these facilities is essential. Many communities around the country have been left with the legacy of the 1960’s trend of 50m outdoor pools [click here to view article] which are looking every year of their age – with high operational costs and low-levels of functionality. Many of these communities are calling for an indoor facility. The research, consultation and feasibility assessment phases of aquatic planning are integral to ensure that community needs are met, all feasible options are explored and that a sustainable and long-term investment choice is made. When working with the community to understand what aquatic facilities they would like to have they need to be made aware of the different types of facility, functionality and the costs and benefits of each. A sound business case also needs to be developed informed by robust research and consultation. Detailed below are some of the common facility types which are often considered at the initial stage of aquatic planning. 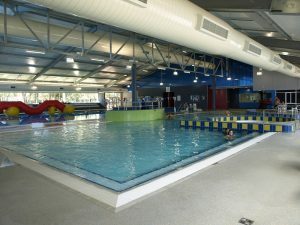 While some aquatic centres, usually in large cities, do have all of these facilities – planning for aquatic facilities in regional areas often requires a choice between different types of aquatic facility components. Determining the best solution for each community takes careful planning and specialist knowledge, using a team of aquatic specialists that have extensive knowledge on the planning, design, development and operation of these complex facilities (photos supplied by our strategic partner Donovan Payne Architects). A program pool is usually a smaller pool used for programs such as swimming lessons, water safety and aqua fitness. 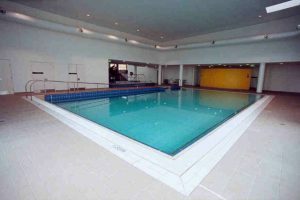 Modern program pools are usually accessible by a ramp and are often heated to temperatures of up to 32°C. A lap pool is a swimming pool primarily built and used for competitive swimming, swimming training and fitness purposes, including swimming club programs and casual lap swimming. Lap pools are often rectangular in shape While a competition-standard lap pool needs to be 25 or 50 metres in length, smaller lap pools can be suitable for training and casual swimming. Depending on the expected level of usage, lap pools vary in the number of lanes (up to 10 lanes for Olympic standard). Sometimes community level lap pools are also accessible by a ramp and normally heated to temperatures between 25°C and 28°C. A water play area is a collection of water features within a shallow body of water or on an area which does not hold water – known as zero-depth. Zero depth areas do not have the same functional and risk characteristics as swimming pools and may not require full-time lifeguard supervision – which can save on operational costs. Water play areas, sometimes referred to as splash pads, are designed in many different shapes, sizes and colours with interactive elements. They are a current trend in aquatic facilities and generally very popular for children as they are fun and exciting. Spas, sauna and steam rooms are popular facilities at indoor aquatic facilities. They are known for their relaxation, rehabilitation and health benefits. A spa may vary in water temperature between 34°C and 39°C. The Sauna is a dry heat room that may vary in temperature from 60°C to 90°C increasing your body’s core temperature and increasing sweating. 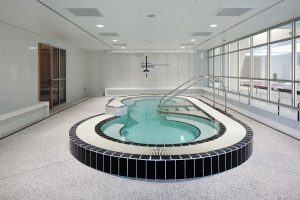 Rehabilitation pools vary in size and are designed primarily for physical therapy that takes place under the supervision of a trained healthcare professional. Aquatic therapy is also known as water therapy, aquatic rehabilitation, aqua therapy, pool therapy, therapeutic aquatic exercise or hydrotherapy. Common uses of rehabilitation pools include aged care, sports injuries and for paediatric therapies. The temperature of a rehabilitation pool will depend on the function and level of activity. For example, a hydrotherapy pool is designed to be heated to 34°C for therapeutic benefits, whereas pools used for other types of rehabilitation may be cooler. We are currently working with the regional town of Collie, in the south west of Western Australia, on a Needs Assessment and Feasibility Study for an Indoor Heated Pool. With funds already pledged by the state government for this facility, the challenge ahead is to ensure the facility can meet the needs of the community within construction and operational budget constraints whilst ensuring ongoing sustainability. To discuss your aquatic facility planning needs with industry experts click on the button below.